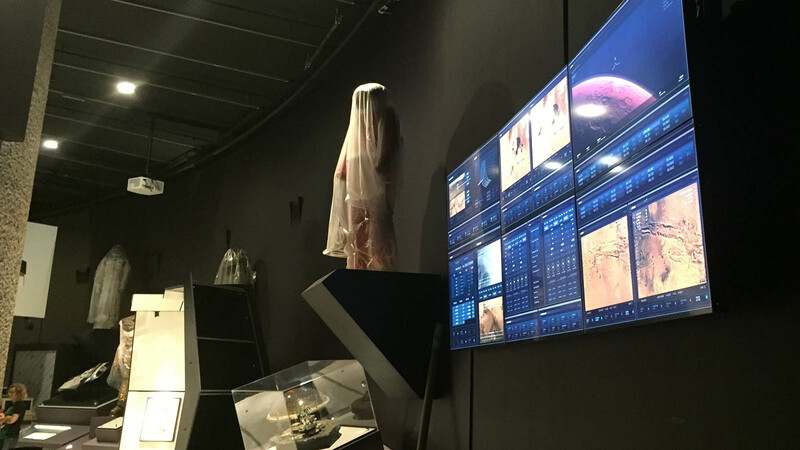 When London’s Barbican Centre planned its acclaimed exhibition Into the Unknown: A Journey Through Science Fiction, Territory was invited to contribute with an interactive installation inspired by our work for The Martian (2015), directed by Ridley Scott. 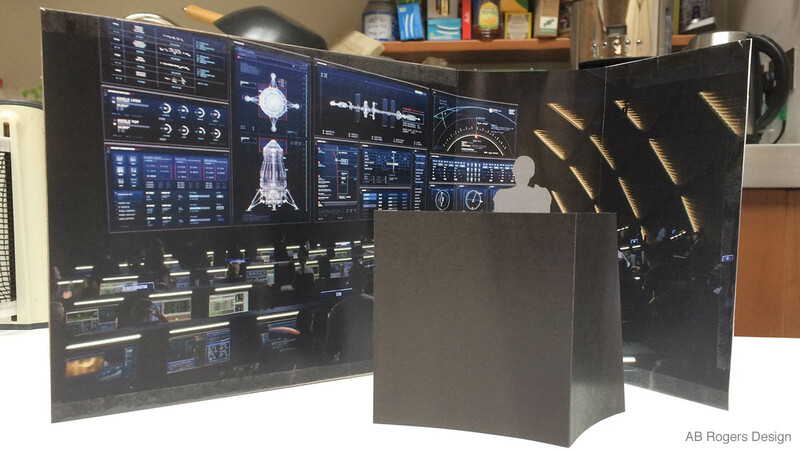 The curator’s intention was to present a unique opportunity to focus on the relationship between fictional narratives and reality in film. 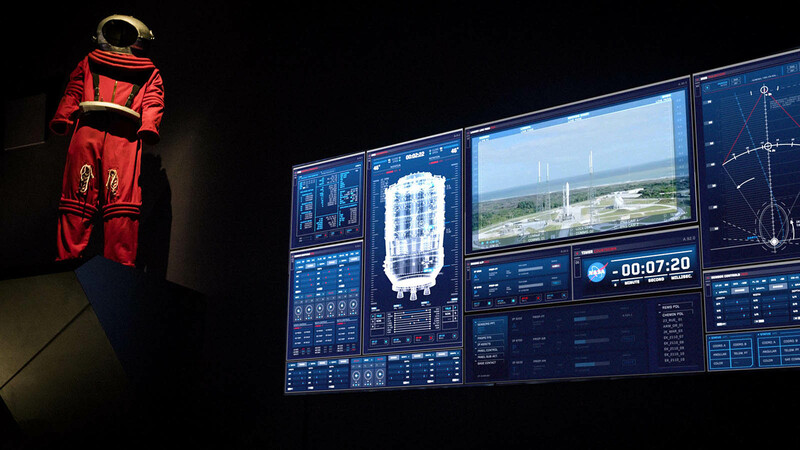 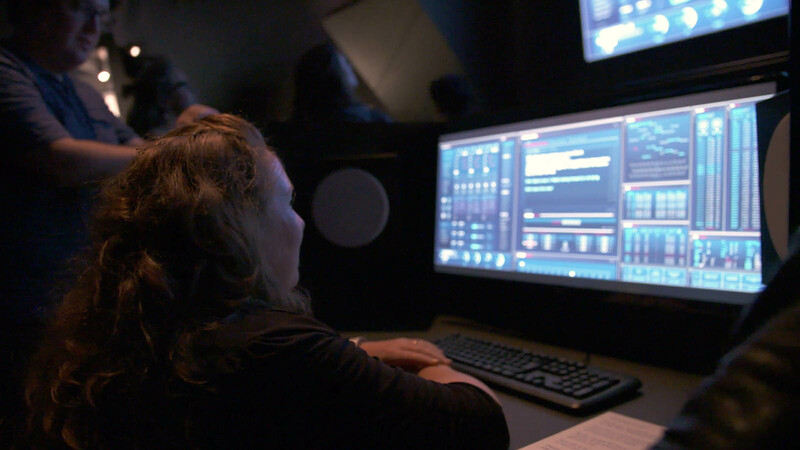 Territory’s responded with enthusiasm and the team began a journey to create a scaled down version of the NASA Mission Control set that visitors could react to and interact with. 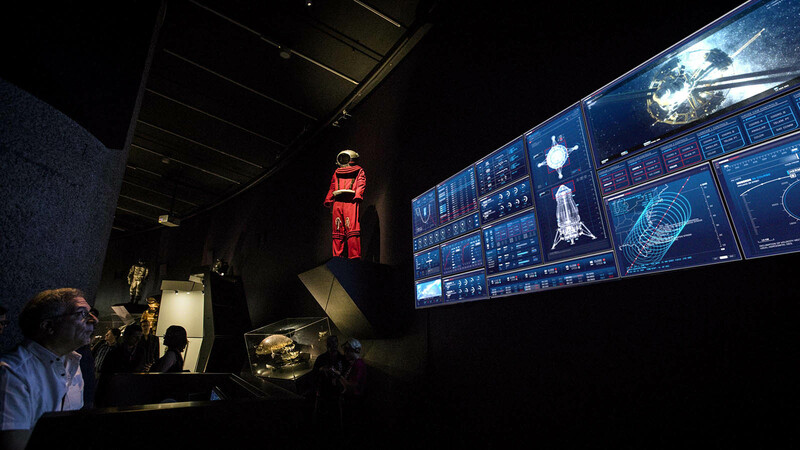 Aiming to create an engaging experience that introduced exhibition visitors to the practical logistics of how screen content works on live film sets, the result is an immersive version of the original set that featured the same animation sequences that were used to visualise key narrative points and support performance. 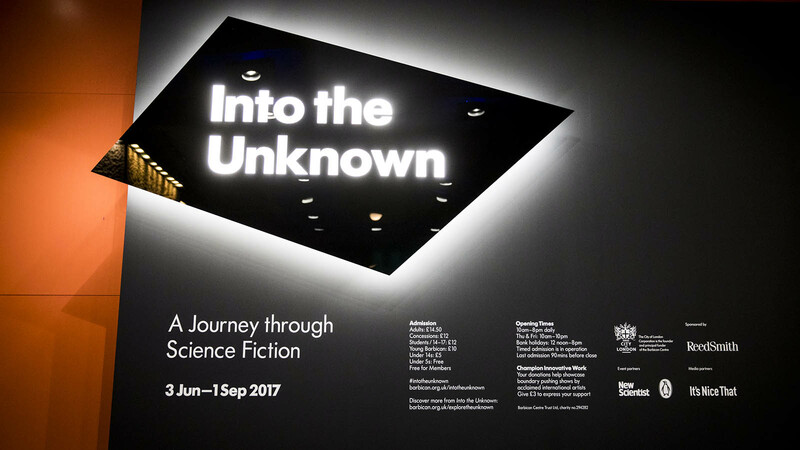 Into the Unknown: A Journey Through Science Fiction opened in June 2017 at the Barbican Centre and is now touring worldwide. 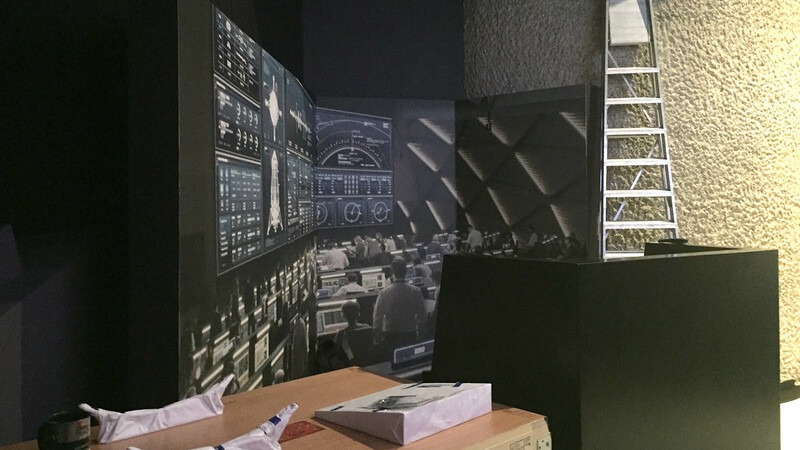 The Territory installation featured as part of the Barbican’s successful exhibition which welcomed over 50,000 visitors whilst in London and was described as sci-fi heaven. 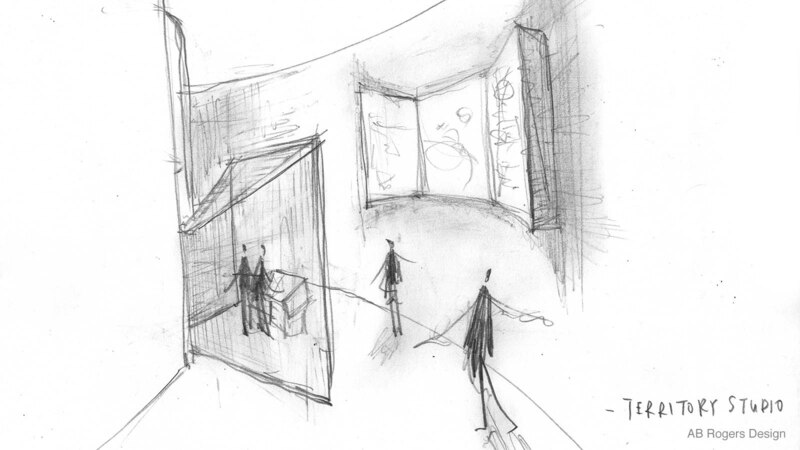 We worked closely with the Barbican and AB Rogers Designs the exhibition designers to create the installation space. 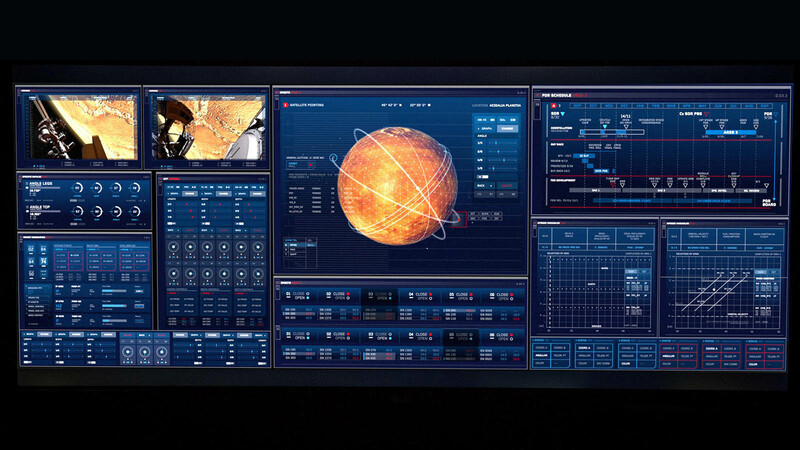 A bespoke system was developed to playback the screen contents across the eight screens. 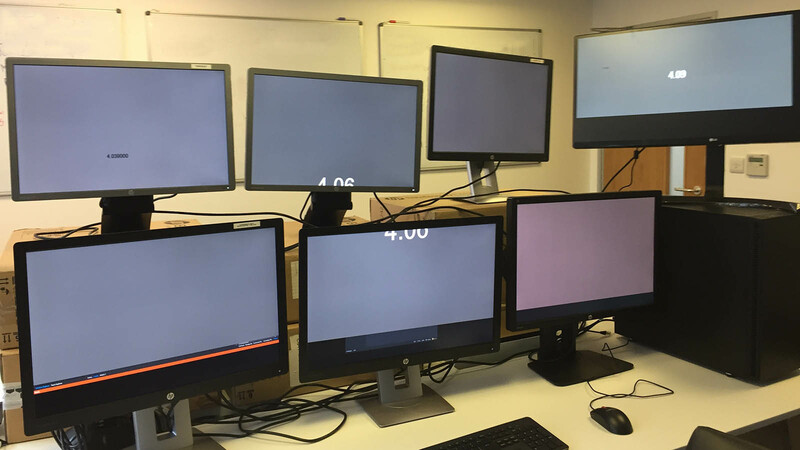 Finding eight spare screens in the studio to test with always proved a little difficult, but we managed it in the end!